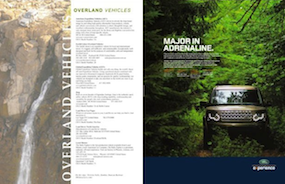 We're proud to announce delivery of our new Overland Sourcebook, the annual companion to Overland Expo. 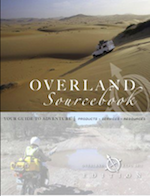 The Sourcebook is the guide to the overlanding industry, 60 pages of listings for all things adventure: vehicles, motorcycles, accessories, camping equipment, services, information, trip planning, business consultants, fabricators, and much more. Listings include Exhibitor booth numbers and a map. Download FREE or order a print copy at cost from conserventures.magcloud.com. Overland Experience attendees & exhibitors get one in their goody bags. This will be the go-to resource year-round to find all things adventure; expect next year's to be 100+ pages!